Though the surrounding areas and bamboo forests are better known by Moganshan, our site in Huzhou offers the same pristine environments but without the massive tourist hordes and construction projects. With activities such as learning to Kayak, then Kayaking down a long Canyon Kayaking route, farm visits, high beams courses, and stargazing, this program caters well to ages 8 to 10 and for those schools who want their students to have a nature-immersive residential trip. We have other primary school trips in Beijing, Suzhou, Hangzhou, Shanghai, Xian, Chengdu, Guangzhou, that follow a similar format. Speak to a specialist now to find out more about our customisable primary residentials. Day 1: Kayaking and High Beams! Upon arrival, teachers and students will be briefed on health & safety. After checking in, we divide into teams and come up with team names and chants. After lunch, it’s time for students to confront their fears and push themselves to complete high beams challenges such as Jacob’s Ladder and the Broken Bridge. Then, we gather for our kayaking lessons and other water sports challenges such as water-tug-of-war and red-otter-cross-over. We finish the day with a dinner by the campfire then go straight into a stargazing activity before debriefing the day and heading to bed. Today, students get a chance to experience rural farming hands-on; we learn about farmers’ daily work and discuss the process it takes for food to be planted, harvested, processed, before it reaches our tables in the city. Next, it’s time for a contained orienteering activity where they will make their own maps and hide treasures for their friends to find. Keeping with the morning’s theme – we will be making our own seed starter farms in recycled egg cartons (students can take these home). Then, it’s on to kite-flying before we go to a local protected gully to hike and sketch the surrounding areas. On our last day, students get to test their Kayaking lessons by going on a 5-kilometer stretch of river to do some Canyon Kayaking. Once at the end of the route, students have lunch before getting ready to go back to school. Teamwork; students will be encouraged to connect with peers and teachers alike to build trust, camaraderie, and unity. 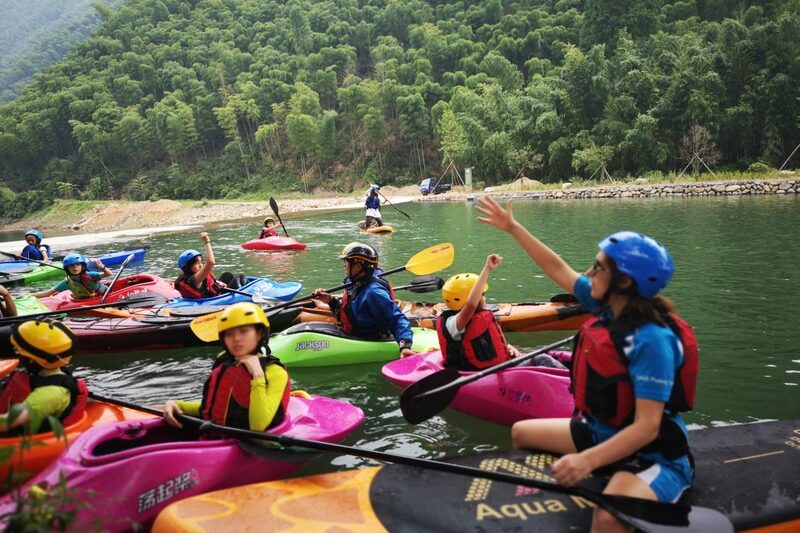 Action; through physical activities such as kayaking, hiking, and high beams courses, students will gain confidence in their physical abilities and come to appreciate the many rewards of physical exercise. Independence; for some students, this will be their first time away from home. By doing things like sleeping away from home, cooking a meal for themselves, being encouraged to demonstrate leadership amongst peers – we foster an independent ‘can-do’ attitude amongst all students.